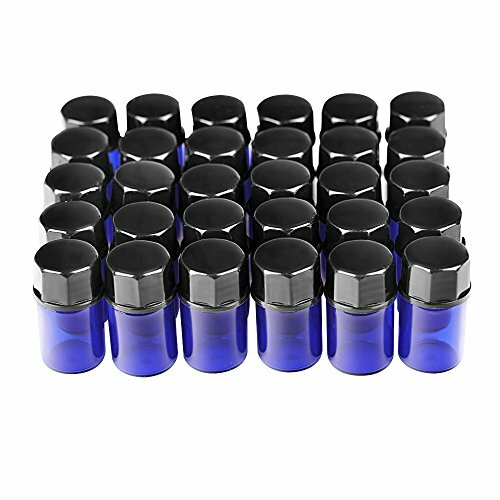 30 pack 2ml（5/8 Dram)Mini Blue Glass Essential Oils Sample Bottles with Orifice Reducer and Black Caps for Essential Oils,Chemistry Lab Chemicals,Colognes & Perfumes.3 plastic droppers as gift. Comes with Orifice Reducer, 3 pack 0.5mlDropper and Black Cap. Mini-sized bottles. Perfect for travel,picnic, and conveniently to take. Perfect size for friends !